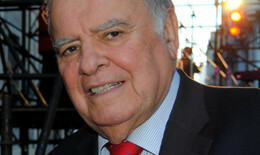 Enrique Iglesias García was President of the Inter-American Development Bank from 1988 to 2005 and during this time he turned the institution into the main source of multilateral development financing in Latin America and the Caribbean. Prior to this role he served as the Minister of Foreign Affairs of his adopted country, Uruguay. In 1981, he served as Secretary General of the United Nations Conference on New and Renewable Energies. Mr Iglesias is currently serving as Secretary General of the Ibero-American Cooperation Secretariat which is composed of 22 Spanish and Portuguese speaking countries in Latin America and the Iberian Peninsula. Mr Iglesias graduated from Uruguay’s Universidad de la República with a degree in Economics and Business Administration. Mr Iglesias has received several prizes in his career including the Order of the Legion of Honour from France and the Grand Cross of Isabel the Catholic from Spain.